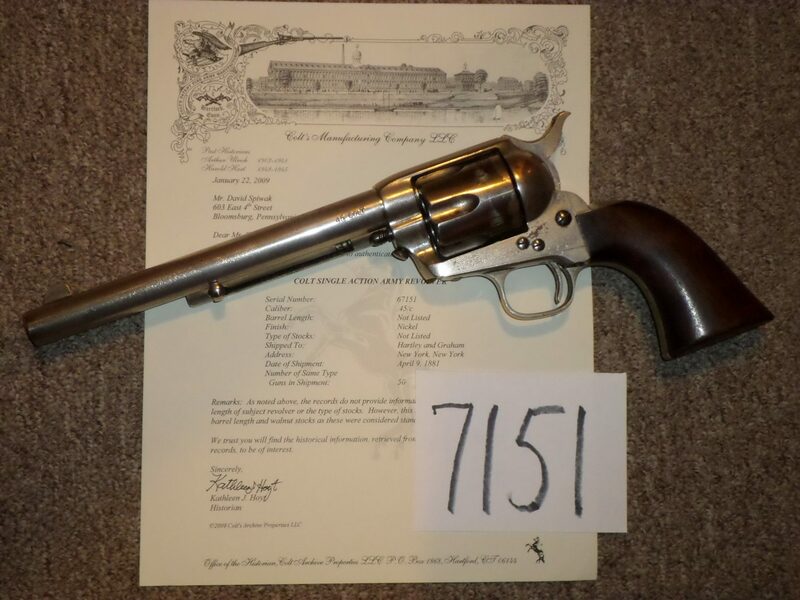 Colt .45 Single Action Revolver in excellent condition with factory letter. Shipped in 1881. Exceptionally fine grips. 60% original nickel on cylinder 95% nickel on the rest of the gun. Rarely seen in this condition. 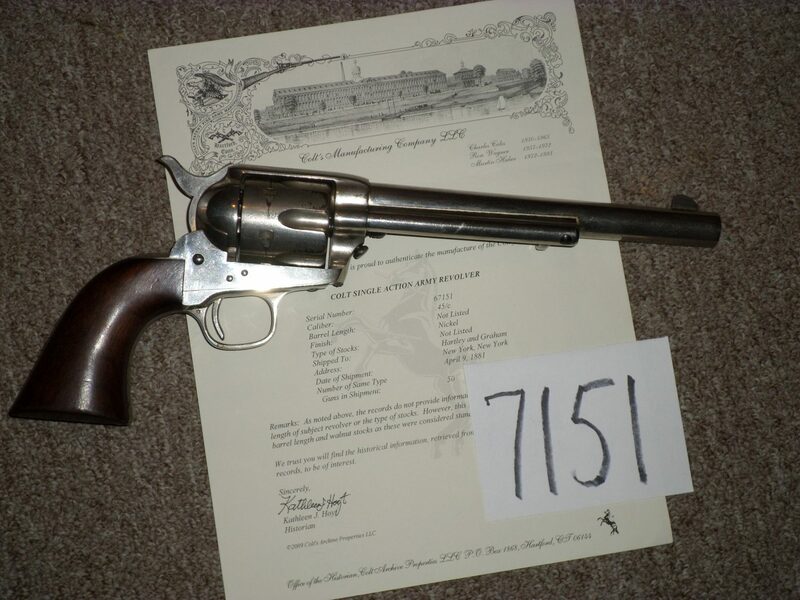 First generation gun with 7 1/2" barrel. Hard to beat.